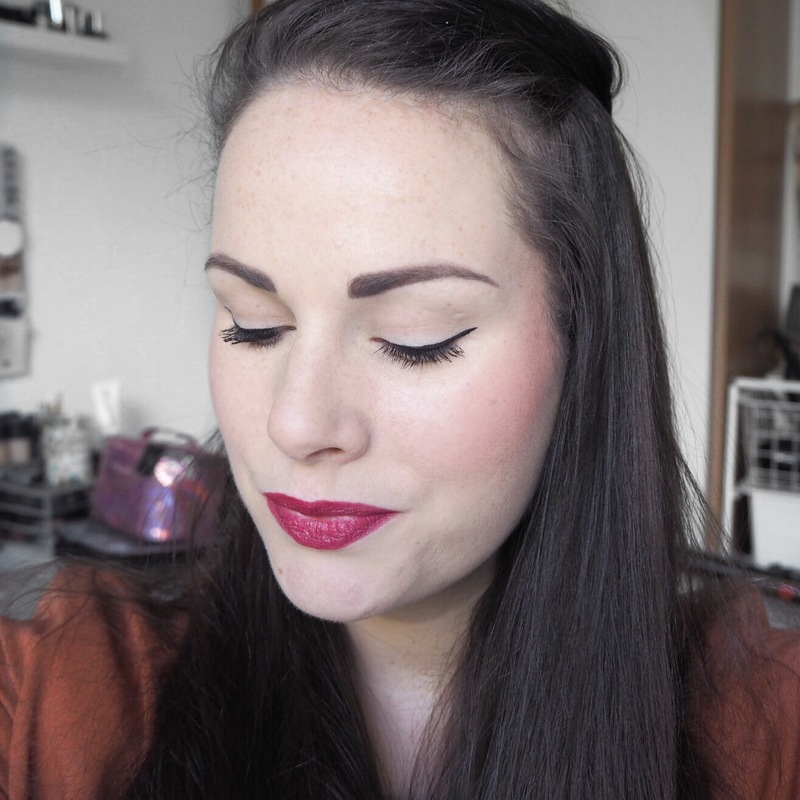 I’m sure most of you know by now that in general, I’m a big fan of Rimmel lipsticks. 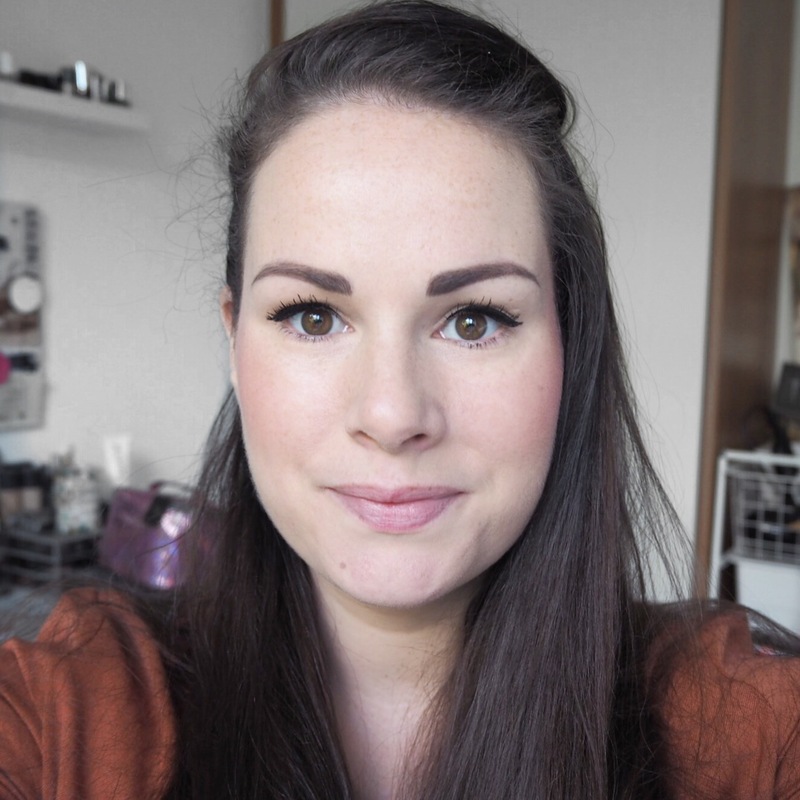 There’s only one or two ranges that I’ve tried from the brand that I really don’t like, but many of the others are some of my favourite lipsticks ever. 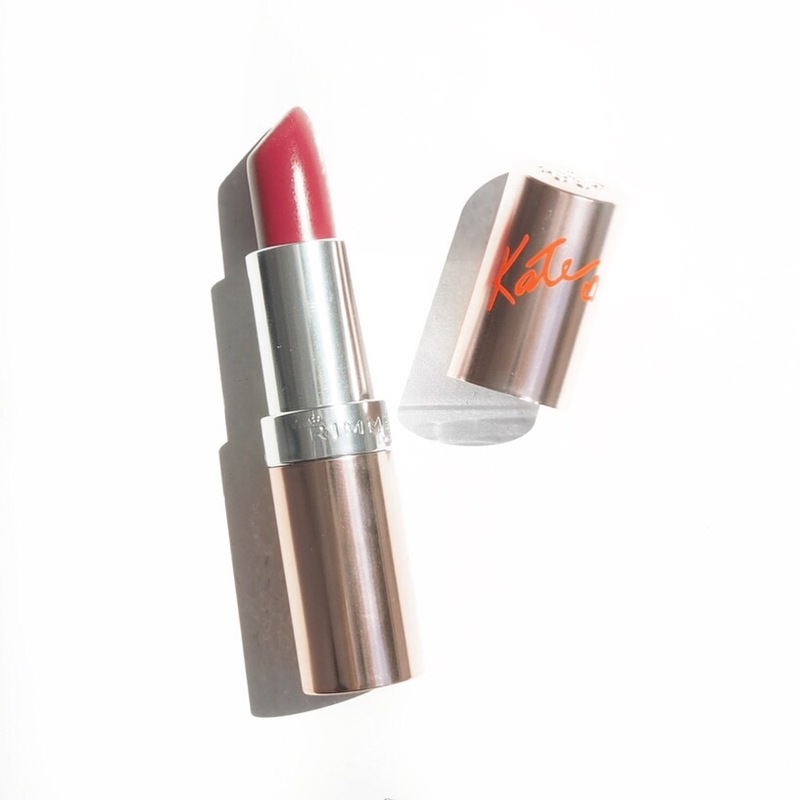 The Kate Moss range has some hit and miss shades, but this shade is exactly the kind of shade that I love wearing, and I love the statement pop it gives to my lips when I have it on. 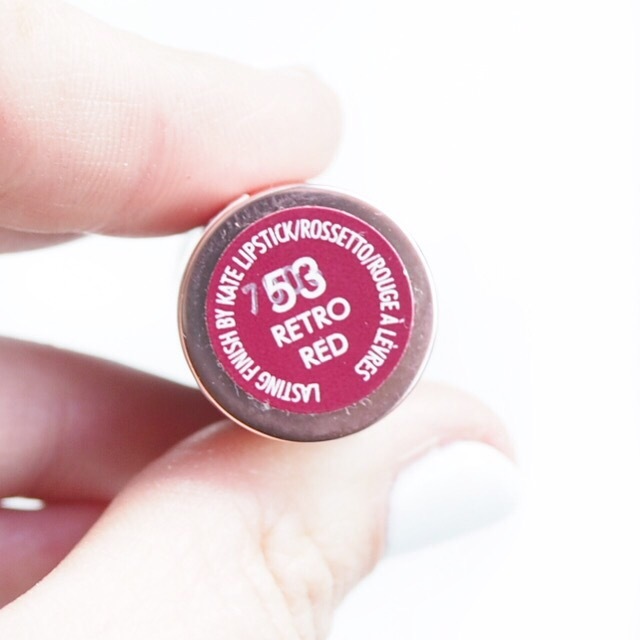 The shade, Retro Red, is really more of a deep berry than red, but it is gorgeously creamy, and the pigment is incredible too. 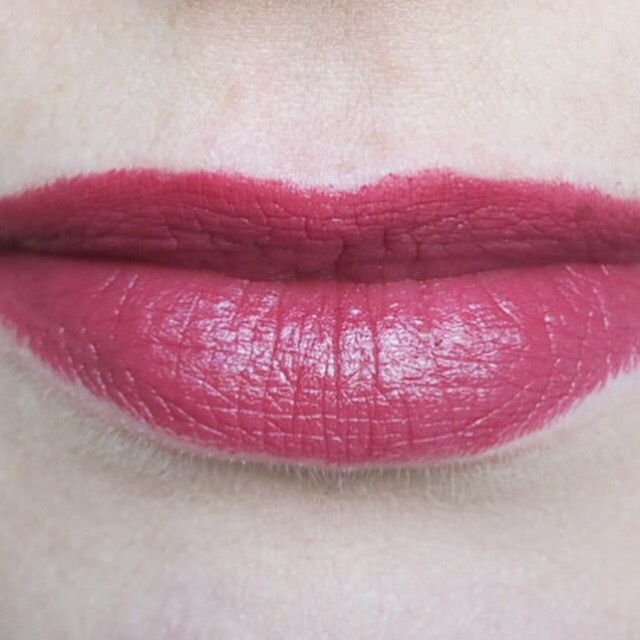 Because of the great colour pay off you get with it, you really only need one or two light layers to get full coverage which is always good when it comes to lippy. The other thing I love about this is the fact that it really stayed on during the day and I only needed to reapply it once or twice. What’s more, I had a really long day and not having to worry about reapplying my lipstick was amazing. 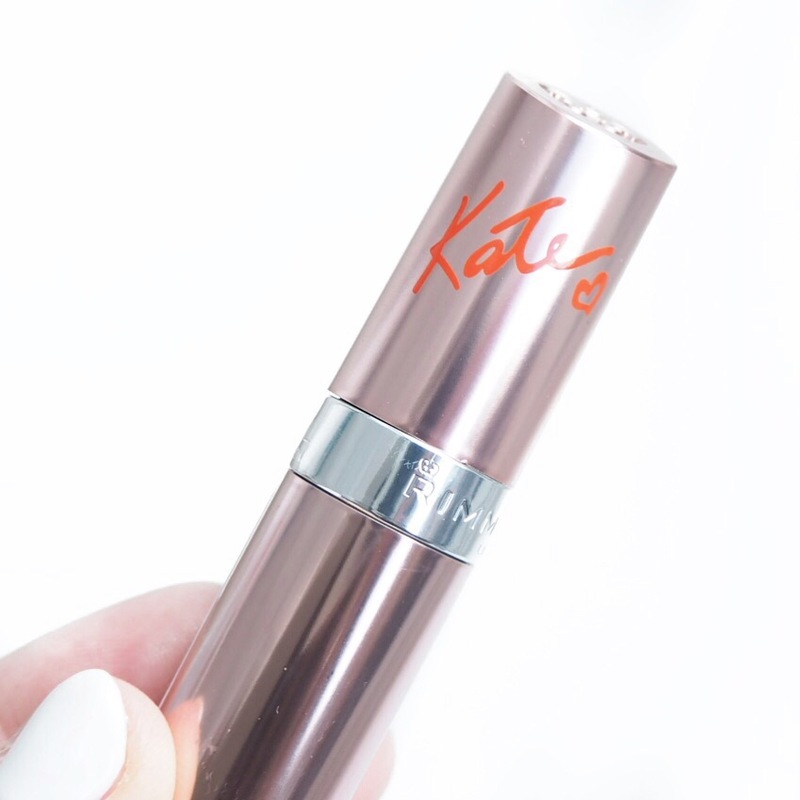 The texture itself is smooth and the consistency isn’t too thick which means it’s very buildable and easy to apply which is great if you wanted to go lighter in the day and very dark for a night on the tiles! 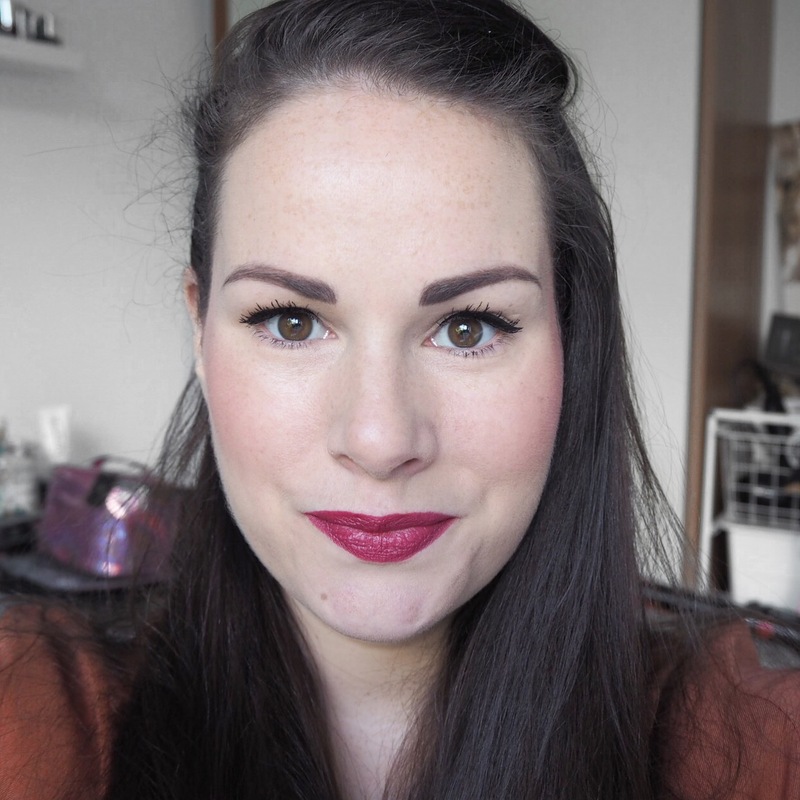 I am really loving this lippy and without a doubt, definitely see myself wearing it again. I think it would be a gorgeous rich tone to wear in the Autumn, but love that it looks just as good in Summer too.